Tax Leaders Inc is an accounting and bookkeeping service company that works with businesses of all sizes and structures, as well as individuals and families. It offers a full range of planning services, including general tax planning, business and personal tax planning, and consultation services. It also provides payroll support, immigration, and corporate formation. Tax Leaders Inc is rated A+ by the Better Business Bureau. 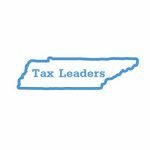 Ready to get started with Tax Leaders Inc? Visit its website.